That’s what Meridian Technology Center Biomedical Sciences students Taylor Allen, Sydney Flynn, Ivy Hover and Jadyn Todd want people to remember. 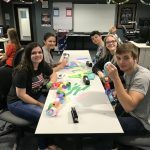 When Allen, Flynn, Hover and Todd decided to compete in the Community Awareness contest with HOSA-Future Health Professionals, a CareerTech student organization for future health professionals, deciding on a topic was easy. In 2016 HOSA-Future Health Professionals and the National Alliance of Mental Illness announced a partnership which focused on engaging youth around mental illness. 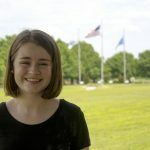 Since then local, state and national HOSA-Future Health Professionals chapters have taken part in community service projects, fundraising and volunteer hours supporting national mental health organizations. 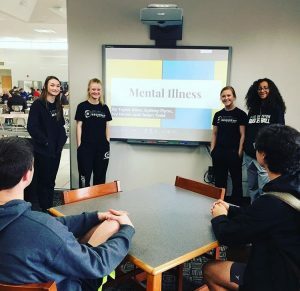 Students in HOSA-Future Health Professionals at Meridian have participated in events at the local level to bring awareness to mental illness. For Allen, Flynn, Hover and Todd, the Community Awareness project was a way to extend these efforts. 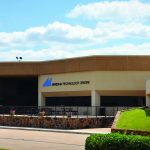 “We knew this would be something that would be good for us to talk about to people our age,” Allen said. They recently shared their presentation with their fellow students at Perkins High School. Allen, Flynn, Hover and Todd will present their final project to a panel of judges during the HOSA-Future Health Professionals State Leadership Conference, April 9-11 in Norman. Photo: Meridian Technology Center Biomedical Sciences students Taylor Allen, Sydney Flynn, Jadyn Todd and Ivy Hover share their presentation on mental illness with Perkins High School students as part of the Community Awareness contest with HOSA-Future Health Professionals.